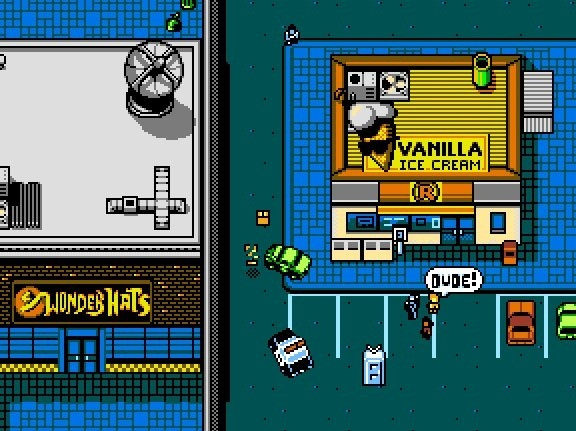 "It’s a twenty layer dip with something for everyone"
After a lengthy wait and a lingering suspicion that it would never come, Retro City Rampage has arrived on WiiWare, bringing its own blend of old-school game mechanics with a chaotic storytelling style. There are enough parodies and in-jokes to fill a dozen games, and it arrives on the service at a time when it's becoming increasingly dormant and ignored, as Nintendo redirects its efforts to its current and future eShop priorities. While the timing is far from ideal, it is nevertheless a new WiiWare title with the pedigree of multiple releases on other platforms and, in many quarters, critical acclaim. To learn more about the project and the man behind it, we've spoken to Brian Provinciano, the one-man band that is Vblank Entertainment. Nintendo Life: First of all, can you tell us about the history of Vblank Entertainment so far? Brian Provinciano: It came out of necessity. The sole goal was just to create my own games for a living after working for other game studios, and you need one in order to hit consoles. However, as things went on, it really began to get legs and it looks like the lights will stay on as long as I enjoy running my own company. NL: You previously told us that this started as a pet project and a NES-style development. We understand this all started in 2002, so is the final result far removed from what you envisioned back then? BP: The original intention was that of a technical feat, to create an open world game that could run on real 8-bit hardware. My goal changed to creating a fun game, telling a story and celebrating my childhood, so other than the 8-bit open world setting, they were quite separate. None of the code from the original 8-bit project was used for RCR, it was written from scratch. However, I did eventually dig up the original 8-bit code and replace the content with that from RCR to release “ROM City Rampage”, allowing players to experience how a 100% hardware accurate 8-bit game compares. NL: When it was announced that this title was coming to WiiWare back in 2010 it attracted a fair bit of attention. First of all, how did you come to start the development for WiiWare? BP: Other than their office requirement, Nintendo at the time was the most open. While the intention was always to be multi-platform, Nintendo was the first to grant me my developer license, so I excitedly announced it as soon as it happened. NL: You recently tweeted that your experience with Nintendo has been a positive one, in what ways were the Nintendo teams supportive? BP: Both Nintendo of America and Nintendo of Europe have been very warm and welcoming. They’re there to listen, take feedback, give advice and really love games. You’re just chatting with friends when you’re talking to them; it never feels like you’re dealing with a faceless corporation. I feel the same way about Sony as well; they’re like family now. NL: On the flipside, were there elements of working on WiiWare that proved to be problematic or difficult for this project? BP: The only weaknesses on Nintendo’s end during the Wii development have both been fixed for future platforms, so a big kudos must go out to them. They listen to feedback and take action to improve things if there’s a better way. In both cases, the original policies had the best intentions, but turned out to be a bit problematic. The first was the office space requirement. As a mostly one-man company, I could have worked from home but instead needed to get an office, just for myself and the development hardware. This ended up draining a significant chunk of the bank account which I’d saved to for so many years to fund the game’s development full time. Secondly, it became public knowledge on Gamasutra in 2009 (one year before RCR’s announcement) that a sales threshold is in place, whereas, if you don’t sell enough copies, you don’t get paid a cent. This had the best intentions, to avoid shovelware, but the problem was that WiiWare wasn’t the hit that it was anticipated to be and while there are millions of consoles out there, a very small percentage of those consumers were downloading these games. Many developers became unable to sell enough units, and this became a reason for so many cancellations of announced WiiWare titles. The publishers knew they wouldn’t make a cent and needed to cut their losses. Between the office rent, hardware, insurance, game ratings and other costs, had I not done the WiiWare version, I could’ve saved around $20,000 – not even including my salary in porting it. And as it stands, virtually no games hit the threshold these days, so it’s only being released as fan service. A $20,000 gift to the fans. However, I wanted to keep my word and didn’t want to see it go to waste. I’m happy to see it finally out, and the many happy players. That said, I encourage everyone to buy it! I’m crossing my fingers that it will hit the threshold at least in one region. The only weaknesses on Nintendo’s end during the Wii development have both been fixed for future platforms, so a big kudos must go out to them. NL: We suspect some Nintendo fans have a couple of key questions about the path to release for Retro City Rampage. Are you able to clarify the causes for the delays, and why it’s arriving on WiiWare last of all platforms? BP: There was initially a policy on a competitor which limited its ability to release sooner. Added to that, as mentioned above, with the likelihood of it not netting any revenue, it had to be lower priority. Ensuring that my energy was spent pushing those platforms guaranteed to generate revenue, their success was able to subsidize the release of the WiiWare version. Fans who bought the game on the other platforms kept the lights on at my company so I could continue work and eventually release the Wii version, even if it meant losing money. If the game had only been released on WiiWare, it would not have generated enough revenue to cover its development costs and I’d likely have had to go back to working as just another employee in some other big studio again. 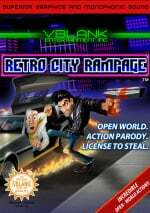 NL: You recently confirmed ROM City Rampage as an extra on WiiWare and for the PC Steam version, and have produced a documentary about how it was made. For those that haven't seen the video yet, can you tell us about this extra, and how it came together? BP: Those who had been following my work long before Retro City Rampage were aware of my original 8-bit project, and while Retro is a million times better in every way than the ROM, people really wanted to see what would’ve been possible on the hardware with accurate 1980s limitations. I too wanted to show everyone and let them compare how RCR strayed and how it adhered. Making the documentary was a key part to this, as very few players understand the significant differences between developing for a 1.78 mhz CPU and a Quad-Core 2.5 ghz one. For them to better understand why the differences are there and why the entire game isn’t possible on old hardware, I had to shed some light on the details. I also enjoy educating people, a big reason why I speak at so many conferences. NL: We’ve noticed that there’s no sound in this ROM City Rampage “prototype”, is that just something that didn’t make the cut? BP: I never got around to implementing sound in the ROM version, so that's correct. 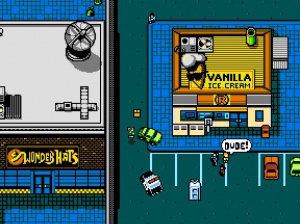 NL: We have to ask, but which did you enjoy producing the most — Retro City Rampage or ROM City Rampage? BP: They both satisfied me in different ways, not surprisingly, both directly in line with their vision. ROM City Rampage was fun on the technical challenge end, like a good puzzle game. Retro City Rampage was fulfilling in that I could bring all of my ideas to life, tell a fun story and really do whatever I wanted without too much holding me back. Designing missions and tossing in animations at the drop of a hat, seeing it all come together and create an interactive experience was huge for me. It was probably the most enjoyable part of that project. NL: Would you say a fondness for NES perhaps gave extra motivation to eventually get this title released on a Nintendo system? BP: I have a huge fondness for the NES, even had collected about 1/3rd of the entire NES library at the time. Seeing it running on the real hardware was definitely the biggest driving force initially. An emulator wasn’t good enough; it had to be on the real thing. I was an incredible purist. The mistakes in Mega Man 9 still get under my skin, such as its smooth screen fading – things that virtually no one else notices, but to me it was a big deal to get them right. NL: Perhaps the title is the big giveaway, but as a game inspired by the original GTA games and featuring a lot of vintage parodies and jokes, are you confident that this will appeal to gamers of all ages, and not just those with fond memories of the '90s and beyond? BP: It does appeal to gamers of all ages because there is a fun game and vibe to it all. Some see the references as the meat of the game and form biased opinions based on taste, writing it off at that. However, the meat is the game itself; the references are the ambiance and sprinkles. The key is to enjoy the jokes and references which speak to you, and phase out those which don’t. Some dwell on the jokes which aren’t their style which is a shame. It's composed of references and nods, parodies, satire, puns, innuendo, social/local/industry commentary, PSAs, nods to the city that I live in, inside jokes that only my closest friends would catch, a few memes and some classroom humour to evoke your childhood memories. It’s a twenty layer dip with something for everyone. It's so densely packed that the idea is, everyone will catch something, and often something new each time they play it. To catch absolutely everything, you'd need to be me. NL: With Wii now becoming less visible in the marketplace, how confident are you that there's still an active market of gamers that'll pick up this WiiWare version? BP: Those who’ve been patiently waiting for it are now able to enjoy it and I’ve kept my word. Hopefully it does well enough to cover the costs, but if it doesn’t, I’m okay with that. The other platforms have done well and make up for it. NL: On that note, did you consider switching to the Wii U eShop at any point, or is a future release on the platform a possibility? BP: The problem is that the Wii U is a completely different system. You can’t just plop Wii code onto it, add some Wii U features and call it a day. It would need to be completely ported from scratch. On top of that, it means a new round of paperwork, platform requirements, e-manuals, game ratings, store metadata and assets, submission and certification. Unfortunately, it wouldn’t simply be a week’s work or such. Much of this was already done for the WiiWare version when the Wii U came along, so switching platforms still would’ve meant almost double the work. I’ve already ported the game to more systems than any one man developer has in history, and it’s left me very drained and physically sore after the long hours at the computer – over three years without a vacation or a day off. My mousing shoulder and neck is seized up right now from all of the time at the computer. So, no plans for more ports, I need to let my body rest without putting in the long hours for a while. 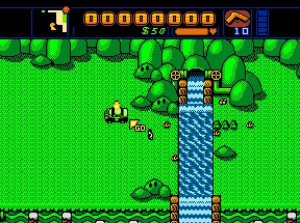 Fortunately, WiiWare games can still be purchased and played on the Wii U.
NL: Aside from the addition of ROM City Rampage, is the WiiWare version the same, in terms of the main-game's content, as on other platforms? BP: The content is 100% identical. I didn’t want people to feel left out so I ensured this. The only things it’s missing are features which the Wii was simply not capable of. It doesn’t have the Tube TV simulation filters and borders because the system is not HD and does not render enough pixels for it to look right. It doesn’t do widescreen for the same reason. 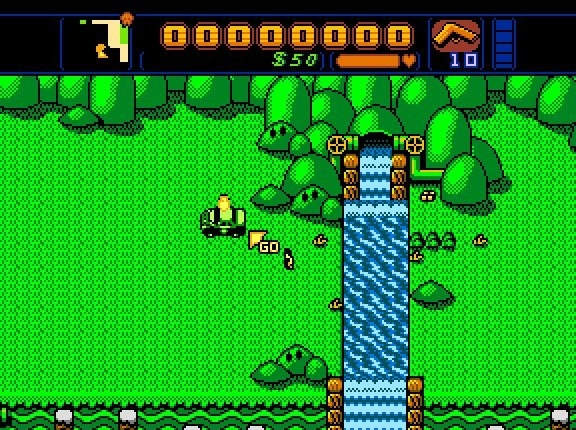 For a pixel perfect game, an attempt at widescreen would result in a blurry or jaggy image. Instead, I recommend players enjoy it with their TV set to 4:3 mode for the 1:1 pixel perfect picture. It’s also missing leaderboards as those are not built into the system on original Wii, thus being a lot more complicated and expensive than other platforms to run. It does still have achievements though! NL: Overall, how many people have worked on this game? BP: Nearly the entire game was done by me, from the programming and design to business, production, marketing, PR, trailers, the website and so on. I had three audio guys to do the music and sound effects, and another artist to polish things up and draw the cutscenes and better animations, but otherwise it was all me. WiiWare was full of potential and many people inside Nintendo worked hard to achieve it, but a number of factors prevented it from getting there... It seems that everyone in Nintendo finally sees eye to eye on the importance of digital. NL: Some are regarding your game as a final swansong for WiiWare, do you think that's the case, and is that an honour that you'd be happy to have? BP: Well, I do wish it could’ve come out on WiiWare years ago, but it’s nice to have the honour. NL: What do you think of, or how would you describe, WiiWare's legacy? BP: WiiWare was full of potential and many people inside Nintendo worked hard to achieve it, but a number of factors prevented it from getting there. They’ve continued to work hard though and improved things significantly for 3DS and Wii U, so things are looking up. It seems that everyone in Nintendo finally sees eye to eye on the importance of digital. NL: What are your thoughts on 3DS and Wii U, and particularly their eShop platforms? BP: Yeah, they’re big improvements and constantly improving further. Many developers have been raving about Nintendo’s developer friendly policies on price and sales, which is great to see. I really do enjoy playing games in 3D on my 3DS, even the simple NES classics. The extra depth to Kirby’s Adventure adds more than one would think! NL: Are you interested in working on a Nintendo system in the future, and are you able to give us any teasers of what's coming next from Vblank? BP: Yes, I do plan to develop more games for Nintendo’s platforms. Nothing is in the works yet, but after my great experience working with them, I’m motivated to continue doing so. They’re not just business acquaintances, they’ve become friends. It’s a pretty amazing place to be in when I think about it; from growing up playing the NES and SNES to making my own games and eventually my own Nintendo game. We'd like to thank Brian Provinciano for his time. Retro City Rampage is available on the Wii Shop (on Wii and and Wii U) for 1000 Nintendo Points, in both North America and Europe. We'll be sharing our own thoughts on the title in our upcoming review. I highly encourage everyone to buy this game on WiiWare if you haven't gotten the chance to play it elsewhere. I had a blast reviewing it for the Vita last year! "A $20,000 gift to the fans." I think Nintendo should cut Brian a check for $20k USD if it fails to sell enough copies for him to get anything in return. This games doesn't just deserve to be on WiiWare, but Wiiware should be honoured by this game being a part of it! Bought this game on WiiWare yesterday after reading about the developer's commitment and care. I hope others do the same, because the game turns out to really be a joy! And you can tell by all the extras included that the person who made it really put his heart and soul into it. Maybe we should organize some kind of campaign to push sales over the threshold. $20,000 is only 2000 sales, which isn't impossible to achieve, and I've seen similar sentiments from readers on other Nintendo websites. Go VBlank! I hope his next project is something similar, but with 16-bit in mind. That was an incredibly interesting documentary o_o RESPECT. His game looks pretty interesting. I'll probably give it a try once I can since I dig 8-bit style games. Downloaded immediately. Thank you for all your hard work, Brian. I hope you continue to grow as a developer and become as successful as you are humble. I played this on the PS3 when I was a Plus member. I wouldn't mind getting it for WiiWare. Is this out in Australia on WiiWare? Cant understand why anyone would want to buy it on the wiiware .. why did they not port it over to the E-Shop, other platforms have it in HD and is probably much cheaper why pay more just because its on a nintendo platform ? Great interview. I beat the story mode in RCR last night, and I gotta say, it was crazy! I think I'm in love with this game, it's so fun to play, and it's made me laugh more than any game has yet this year. And again, I'm very thankful that the developer stuck with WiiWare and got the game released! @JogurttheYogurt - He explains in the interview why it wasn't ported to the eShop. Also, I believe the WiiWare version is $5 less than on other consoles. Great to see his is still positive on Nintendo after taking so long to get this out. Still waiting on that review Nintendo Life, so I can decide whether or not to purchase. I'm not breaking a trend just because I feel bad for the guy. Sure hope it's selling well. I'm going to buy this baby right now! It's worth noting that there's a Wii Settings area in Parental Controls for Wii U which doesn't exactly jump out at you. It seems to have all restrictions set by default and these affect all users. Consequently if you haven't disabled the shop setting you won't see any age-restricted games in the Wii Shop, including this one! I probably would have gotten this at some point, in some form, but that "20k gift to the fans" thing won me over immediately. I downloaded it, and it's fantastic. That's about the nicest gift I've ever received. Sure, it cost me $10, but it cost him a heck of a lot more than that. I'd be shocked if it hit the sales threshhold, but I sincerely hope it does. It's unquestionably one of the best WiiWare titles...and I wish it could have seen a larger audience on that platform. The controls are more complicated than the original Grand Theft Auto, but it's crazy and just Wow! so I do hope everyone buys it as well. First time I've fired up the Wii channel in weeks, but well worth it. Ok, I have debated about buying this game, but after reading this interview, I am going to buy it just because he is just a nice kewl guy. I know he said it would be a pain and extra work, but it would have sold so much better on the eShop. I hope he changes his mind someday. I want to play this on the gamepad with a Wii U exclusive monochrome Game Boy graphics filter. Would be so awesome. I have only started to play this game but so far I've been having great fun. I'm probably missing a lot of references but that isn't taking away from my enjoyment. I encourage everyone to download it. It's a great game! And it may guarantee more great games for the eShop. Also it plays great with a SNES Classic Controller!! Do you own a Wii with internet access? Buy this game. Do you have a Wii U? Buy this game via the Wii channel. Buy this game. BUY THIS GAME!! !